Halo Salt Spa in Westlake! Get One Salt Therapy Session For $15, Three For $39, or Six for $69. Improves Breathing, Sleep, Skin, Immune System, and Helps Relieve Stress and Fatigue. New Infrared Sauna Session Option or BOTH! 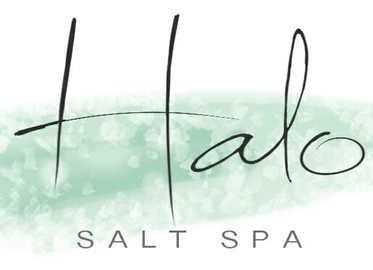 Halo Salt Spa is the only “Salt Spa” in the Conejo Valley. What is a Salt Spa? Read on as we “pepper you” (sorry, couldn’t resist!) with the details. Salt spas are designed to harness the benefits of halotherapy, also known as dry salt therapy, which include promoting better breathing (great for those with allergies, asthma, or who are just looking to improve their breathing overall), sleep, skin, immune system, and overall health and wellness. Halotherapy also decreases stress and reduces fatigue, and even promotes clearer thinking. Sessions are 45-minutes for adults and children. Guests relax in a comfortable lounge chair while listening to ambient music. Dry aerosol micro particles of salt are dispersed into the salt room during the treatment session. The particles penetrate deep into the lungs, the inhaled salt has anti-inflammatory properties, which results in reduced inflammation in the entire respiratory tract, widening of the airway passages, accelerated transport of mucus, and improved immune system. The non-inhaled particles landing on the skin help to balance pH, reduce inflammation, and exfoliate leaving you with a healthy glow. Infrared sauna therapy heats the body directly rather than simply warming the air, it raises the core body temperature and produces a deep, detoxifying sweat at the cellular level, where most toxins reside. In addition, far infrared saunas aid in blood pressure reduction & weight loss, burning up to 600 calories in one session! With today’s deal, you can try Halo Salt therapy for just $15 for one session, $39 for three sessions, or $69 for six sessions.